So says John Waters, and while we’ve probably all sat through some relative’s earnest document of their holiday abroad and wished that some of the panning shots of scenery could have been a little shorter, he has a point. Home movies aren’t to be judged by the usual film rules. They are made for an interior purpose; every frame speaks to a select family audience which alone can decode the film’s particular references. And yet, as time passes, and such films turn up in archives, they then speak in a different way to us all, as we see the manners, the customs, the backgrounds, the clothing, the choice of subjects, that make these films such rich social historical documents. Moreover, in other people’s home lives, we see our own. In all these respects, there can be no such thing as a bad home movie. 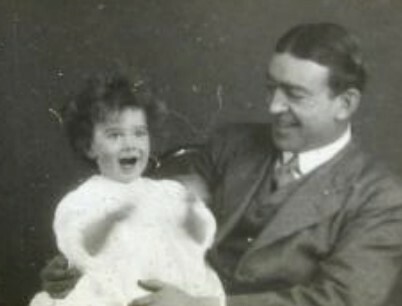 Home movies are as old as cinema. They were produced throughout what was the silent era in commercial cinema, and continued to be shot silent for several decades thereafter. Some have argued for the scenes of their family life filmed by the Lumière brothers in 1895-96 to be the first home movies, but these were studied compositions for commercial consumption. However, cameras and projectors were soon aimed at the amateur market – indeed, in those first years of cinema some believed that the real money would be made by targeting the home. After all, the Kodak camera had shown where the business lay for still photography. Probably the first motion picture device for amateur use was the Birtac, a camera-printer-projector utilising 17.5mm film, introduced by Birt Acres (hence the name) in 1898. The Biokam, developed by Alfred Darling and Alfred Wrench followed in 1899. Gaumont in France came up with the Chrono de Poche, using 15mm film, in 1900. 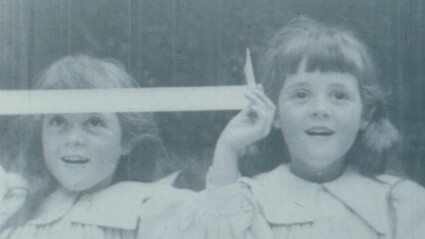 The Lumières themselves were behind the Kinora, a hand-held, flick-card viewer for which you could either have films made of your family as a ‘portrait’ in a studio, or film them yourself with camera using paper negatives (it was patented in 1896 but the first Kinora camera for amateur use appeared in 1907). Other such systems followed, employing narrow gauges which were cheaper and easier to handle. Initially the film used was flammable nitrate, but in 1912 there came the Edison Home Kinetoscope using 22mm safety film, and in the same year the Pathéscope, or Pathé Kok, using 28mm safety film. However, these were mostly for showing commercial films in the home, and it was 9.5mm film (introduced 1922) that was the format taken up most avidly by amateurs seeking to shoot their own films, though 16mm (introduced 1923) was used by the wealthy, and some of the first home movies in archives are those shot by the well-to-do upper middle class in the 1920s. A rival to 9.5mm that would soon overtake it in popularity was 8mm, introduced in 1932, and Super 8 appeared in 1965. 35mm was rarely used for home movies, such was the expense (and the fire hazard), but some examples exist, including what I think must be the earliest surviving home movies, those of the Passmore family of Streatham, filmed 1902-1908 and held in the BFI National Archive. They are a delight (they were shown at the Pordenone silent film festival in 1995). Home movies have grown in importance for film archives, or rather film archives have grown up which value such productions highly because of the way they record people and place. The smaller, or regional film archives around the world, are preserving a picture of our private selves which is likely to be rather more highly valued by future generations than the progressively quaint commercial entertainment films that still dominate moving image archiving philosophy generally. On Saturday October 18, archivists and film lovers around the world will take time out of the vaults to help the public learn about, enjoy, and rescue films forgotten with the advent of home video. Home Movie Day shows how home movies on 8mm, Super8 and 16mm film offer a unique view of decades past, and are an essential part of personal, community, and cultural history. Home Movie Day returns to London this year at the Curzon Soho cinema bar. It’s a free event and open to everyone. There will be a Film Clinic, offering free film examinations by volunteer film archivists from the British Film Institute, Wellcome Library and BBC, who will check the film for any damage and deterioration, and offer advice about how to store film in the home. After examination, the films can be passed to one of the projectionists, who will be continuously screening home movies throughout the day. You don’t need to bring a film to attend and enjoy the event; everyone has a chance to win prizes generously donated by the BFI and Wellcome Collectionjust by viewing any of the films on the day. Prizes include BFI DVDs and tickets to the IMAX. The archivists can also offer advice about preserving films in film archives around the UK and transferring films to other formats such as DVD so they’remore easily watchable in the home. 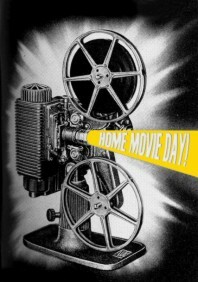 Don’t throw your films away; bring them to Home Movie Day! The London event takes place at 12-5pm at the Curzon Soho, 99 Shaftesbury Avenue, London W1D 5DY. For more information, contact Lucy Smee, at Dearoldsmee [at] gmail.com. The Manchester event takes place at the North West Film Archive. The history of amateur film remains underwritten, though work has been done of late to remedy this. You could start with by Karen L. Ishizuka and Patricia R. Zimmermann’s Mining the Home Movie: Excavations in Histories and Memories (2007), or seek out Zimmermann’s earlier Reel Families: A Social History of Amateur Film (1995). There’s also Alan Kattelle’s Home Movies, A History of the American Industry, 1897-1979 (2000). 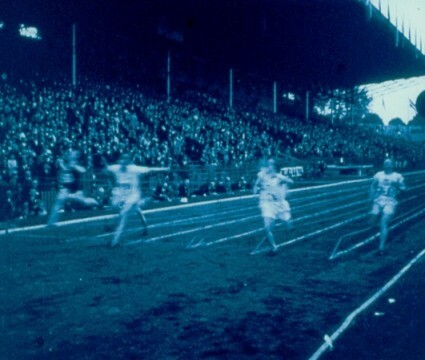 For the cameras and projectors designed for amateur use in the ‘silent’ era, the best source is Brian Coe’s The History of Movie Photography (1981), while the Kinora is covered by Barry Anthony in The Kinora – motion pictures for the home, 1896-1914 (1996). For images and information on narrow gauge film formats from the early period, visit the excellent (if increasingly out of date so far as its name is concerned) One Hundred Years of Film Sizes. To find out about the work of regional film archives in the UK, visit the Film Archive Forum website. Film Forever is a good online guide to the preservation of films at home. Our history is in your hands.